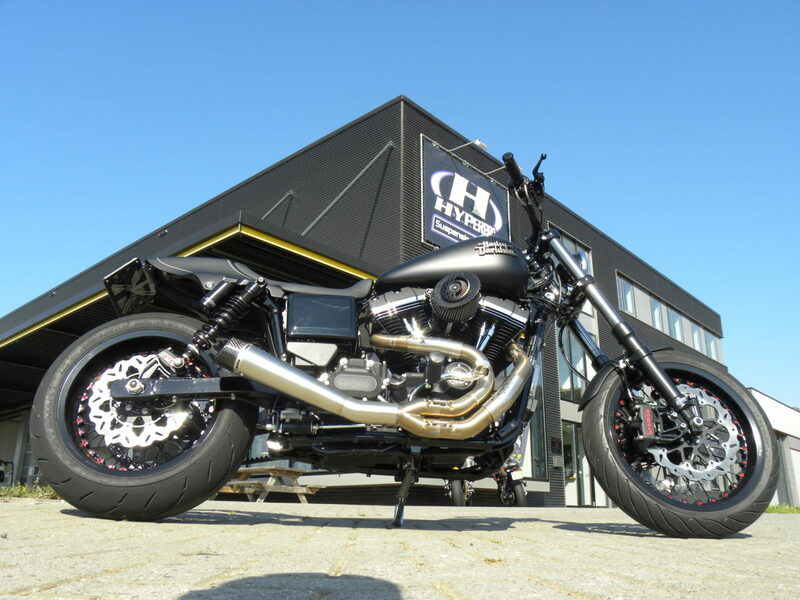 Since the first years when Hyperpro started to develop suspension solutions for motorcycles, we have Harley Davidson in our program. We know that the thrill of riding a Harley is not only about the technical specs of the bike. It’s a way of life! We can make that life easier. Just by improving your suspension. 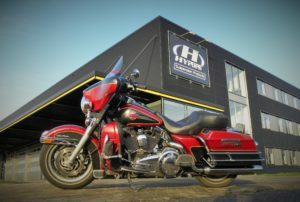 Hyperpro has had Harley-Davidson (and more recently Indian Motorcycle) model-specific suspension applications in its line-up ever since the company began in business in 1993. 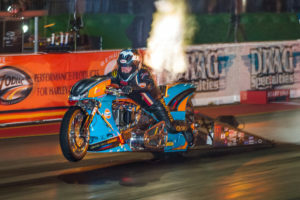 Hyperpro is offering suspension products in different levels, all made of the highest quality materials and meets the highest demands of the rider. This to make the bike ride even more comfortable, easier to brake, more easy to corner and way more comfortable with a passenger or luggage. 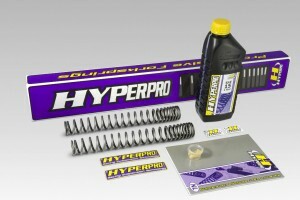 Hyperpro offers rising rate progressive fork springs. 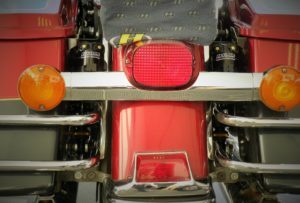 Together with the specially formulated oil that is included in the set, we create a better controlled suspension system, which results in a much more comfortable feeling while riding on the straight and while cornering. It is all about confidence and consistent, reliable and predictable response. Our rising rate progressive rear spring sets can be mounted on the original shocks for a hugely noticeable and immediate improvement. 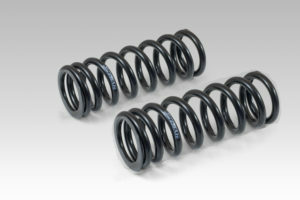 Due to the rising rate design of the springs, they also give a comfortable feeling in all conditions and riding circumstances, from the wet to the dry, solo, two-up, with or without luggage, the spring rate will automatically adjust for every need of the suspension. Together with a set of progressive front fork springs, it gives the bike it’s needed balance and much more stability, with or without luggage, and with or without passenger. 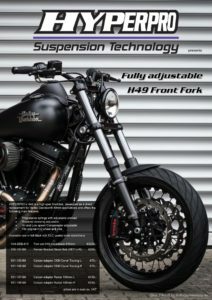 To offer the best suspension solution for your Harley, Hyperpro offers two types of shock absorbers. Depending on the model, we can supply different lengths. 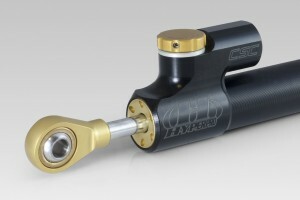 Next to the original length, Hyperpro offers the shocks in some inches longer or shorter, to rise or lower your bike. Important to us is to keep the bike ride-able! All Hyperpro shocks are being Quality Controlled on a Dyno bench and have an unique ID which is filed in the Hyperpro archives. Al parts are being CNC machined in our own production facility in the Netherlands. The Type 360 is an emulsion shock with a rebound adjuster to find your best damping setting for comfort in 50 clicks! Mechanical preload adjuster is included. 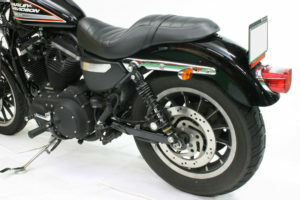 It is also equipped with a Hyperpro rising rate progressive spring. 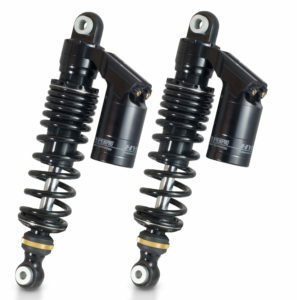 The Type 367 shock is a beautifully designed shock absorber, which not only looks great, but also has a very functional design. It has a 50 clicks rebound adjuster, which you can easily reach and adjust. With the adjusters on the reservoir you can adjust the compression damping on both high- and low speed, to get the best damping setting for you and your bike! Mechanical preload adjuster is included. 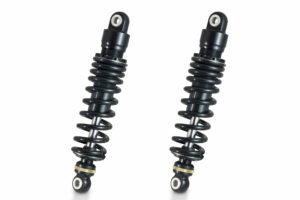 The shocks are equipped with a Hyperpro rising rate progressive spring. 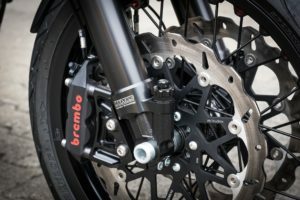 Some of the HD models can be mounted with a steering damper to avoid unwanted movements of the bike. 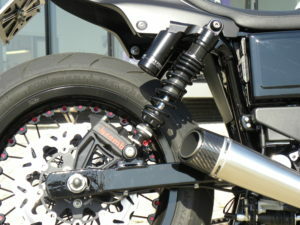 The Hyperpro R&D Team managed to develop a right side up front fork with all modern technology inside. 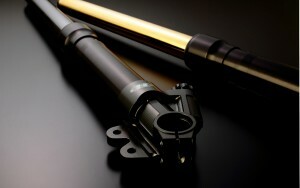 This high spec Front Fork sets a new level on suspension adjustment on conventional front fork damping. The fork features rebound adjustment, high -and low speed compression adjustment, the use of a rising rate spring and a lot of technical features inside to make the fork work as smooth and perfect as possible. Available in full black with DLC coated inner stanchions.